How play an animation through collision (2D Game)? I need help whit a animation. I wanna the girl from my game eat a food. 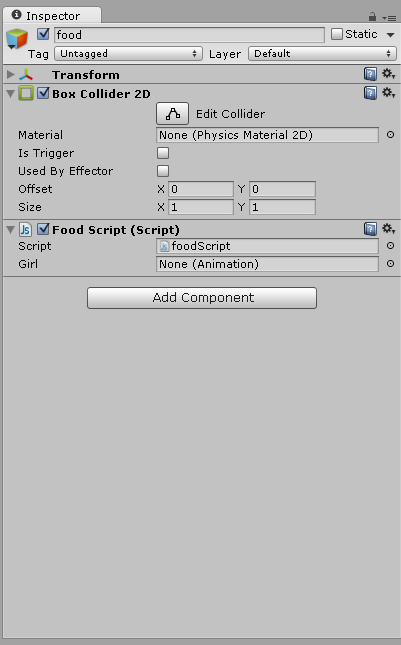 I'm trying to make a collision between the food and the girl. 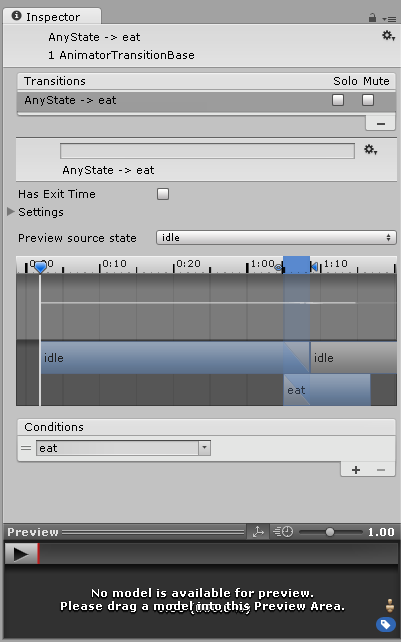 When collide, the girl will start the animation "eat". My animation is made whit .png images (it's a 2D Game). I don't know why my animation doens't start... I 'm in it for two days. I looked for answers but found nothing... So... It's it guys! If anyone can help me, please, do it. I don't know where i'm going wrong. It's Unity 5.0.0f4. 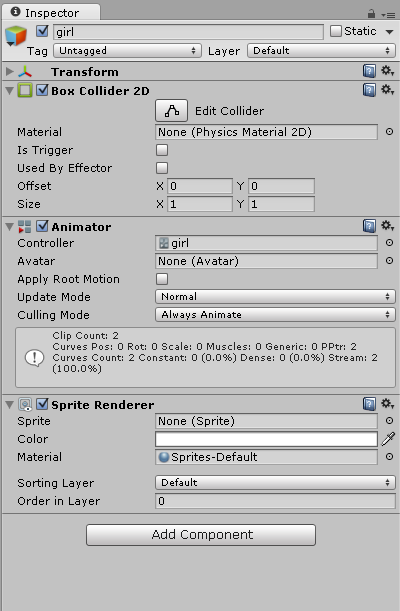 If you're going to use OnTriggerEnter then make sure that one of objects collider's IsTrigger is set to true and in the image you've shown you haven't assigned the animation to the girl variable in the inspector. You're using the animator, The code you're using won't work like that. Try this instead. You need to use the Animator for the girl, and then activate it's trigger. not just tell the animation "play".